Manchester United goalkeeper David de Gea says he is "really happy" at the club, as talk continues about him possibly signing a new long-term contract. The Spain international has entered the last year of his current deal at Old Trafford - although the club can then opt to trigger a one-year extension. 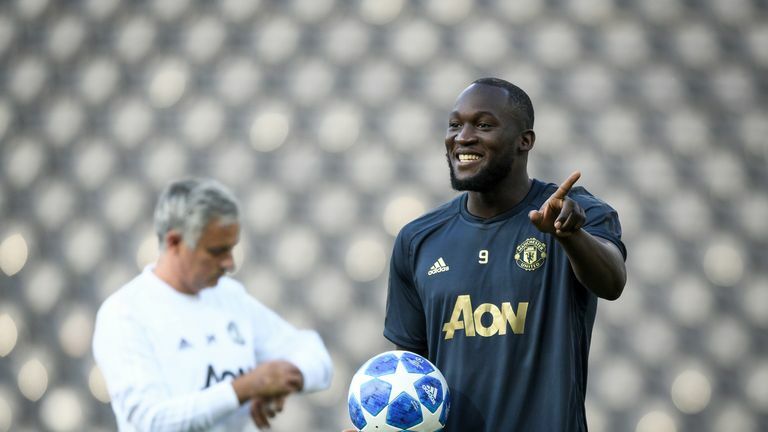 But United will be hoping to have agreed a new long-term extension with their four-time player of the year before then, and he offered some encouragement ahead of Wednesday's Champions League opener. Asked if he was considering signing a contract, De Gea said: "I feel really loved at this club. From the fans, from all the people who are for this club. "I am really happy to play for this club, one of the best clubs in the world. So for me, it's really good to be part of this club." De Gea has been in typically excellent form of late, playing a key role in United's weekend win at Watford, but he received some criticism in Spain this summer, after the national team suffered a disappointing World Cup campaign. The 27-year-old insists he has not been distracted, though, and said: "Normally, I never listen to the people who speak about me. "I am focused on my job and trying to help my team - try to improve every training session and try to be as good as I can, so I never listen to stupid things like this they say." De Gea's next challenge is the artificial pitch which will confront United at the Stade de Suisse when they face Young Boys on Wednesday night. De Gea said: "Well, we are not used to playing on artificial grass, so it's going to be a bit different, probably more difficult for us. "But we have to train today (Tuesday) to see how the balls work on this pitch and try to play our football here. "We know it's going to be a tough game."